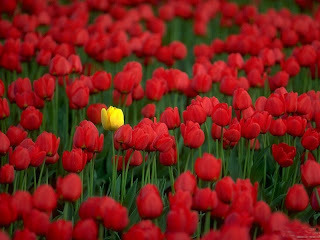 Sometimes being the “odd one out” factor is scary to all of us. So we Copy. Someone once asked, "When we are all born originals, why do so many of us die copies?" When a child is born he’s natural himself and unknown to the complications of world. It is in the DNA of us humans that implant certain features into him through which a child quickly develops to adjust and react to his environment. He “imitates” , he imitates his elders, he imitates his siblings, he imitates animals and slowly and steadily growing up he understands imitating certain actions are a way of doing things or so called “discipline” to be HUMAN. With every step a child takes in his life he’s given “dos and don’ts” from his family, friends and society. It might be out of sheer protection but eventually an amiable person develops the “fear of being different from others” and this is what makes him stop being what he is. *Amit engineer aged 68 confesses “ I always wanted to be a singer but those days nobody had the freedom to do what they wanted to, neither were there so many options nor did the society accept it as a well to do profession. Today my children and grand children inspire me to learn music and do what I always wanted to do unlike my elders. ” He might be just one of those who have suppressed their wishes and willingness to the fear of being different. Afraid to come out in open face society, afraid of rebukes from elders or afraid to face the unknown destiny which lies at the end of their choice could be one of many reasons that might have scared them. For how long people tolerate it and that too unknowingly is still unknown. We might not even know “that we do copy”. Every person is different in views, thoughts, talents, behavior and so on. You are unique the way you talk, the way you smile, the way you walk, cry, laugh its all different you need never be scared of being either a size zero or achieving something exactly what the other one does. Knowing yourself gives you the best of chances to enjoy some great moments with your own self. Rather than justifying your aloofness smile and know someday you would be remembered for your “individualism”. If you are still not convinced try this for a week, literally think before you speak. Say what you truly feel and not what is expected of you, what you say out of sheer habit. This does not mean that you put yourself under the pressure of coming up with brilliant and innovative statements. But rather speak you mind muster some courage to take a stand for the person you love the most “YOURSELF”. Begin to Love yourself slowly without any extra efforts you would be Original. Once you know you are Original, you are bound to take the responsibility of your actions for instance if you don’t need X-tra loaded phone unlike your friends and you have chosen a simple one for yourself “Don’t shy away” from using it, once twice or thrice your friends will say you simply smile the next time they would never talk about it. Similarly if you have chosen a certain career based on your instincts and liking be stubborn and ready to face its consequences, every different career route has its destiny and has its share of struggle be prepared to face it. "Whatever you think you'll be. If you think yourselves weak, weak you'll be; if you think yourselves strong, strong you'll be." Being yourself is being original , you will soon find herd of people following you, you will find people being friends with you and you will also find people jealous of you all because of your confidence and mindset that has made you different. Life will always remain a bunch of good and bad things striving through it with your own methods will give you satisfaction tones of times more than following any group or being. Be yourself, be original and stand correct, you will never feel the need of being proven to anybody. Swami Vivekananda's poster with the quoted statement in your post is hanging in my room and it always encourage whenever I am low. Being Original is always important else we can't discover ourselves who we are actually. :) thanks for your comment ..